At the end of 2001, Argentina’s political and economic crisis was the main theme in Latin American news coverage. The economic recession that culminated in intense popular protests and the resignation of then-president Fernando de la Rúa also fostered a peculiar phenomenon: that of companies recuperated by their workers. Members of the Tiempo Argentino newspaper cooperative. Since then, the formation of workers’ cooperatives to recuperate companies about to close their doors or which have already declared bankruptcy has occurred more frequently in the country, especially in the textile and metalworking sectors. However, in the last two years and for the first time, media outlets were the majority of companies recuperated in Argentina in the period, according to a survey of the Open Faculty Program of the University of Buenos Aires. Between 2016 and 2017, at least six media were recuperated by their workers after they were closed or abandoned by their owners: the local newspapers La Nueva Mañana, in Córdoba; El Ciudadano of Rosario; La Portada, of Esquel; and El Correo, of Firmat; plus the newspaper Tiempo Argentino and online news site Infonews, both based in Buenos Aires. In the previous survey, referring to the period between 2010 and 2013, the Open Faculty Program registered the recuperation of only one media outlet. 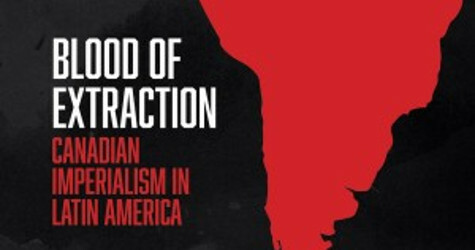 For specialists and journalists of these outlets reviewed by the Knight Center for Journalism in the Americas , this is a reconfiguration of the country’s media landscape that is connected to the relationship between media and governments, but also represents new paths for journalism in Argentina. Social scientist Natalia Bauni, of the Social Observatory on Recuperated and Self-Managed Companies (Osera), also from the University of Buenos Aires, told the Knight Center that the central point of the recuperation of companies by their workers is the conservation of jobs. “Far from having a revolutionary characteristic or being an attack on the system, it has as an important center the theme that they are all older, salaried workers, who found it practically impossible to insert themselves in the labour market,” Bauni said. “The cooperative was just a legal way to defend the work,” the social scientist said, citing the Argentine Bankruptcy Law, which provides for this type of recuperation of bankrupt companies. Social anthropologist Andrés Ruggeri, director of the Open Faculty Program, recalled that before 2016 there were cases of media that were recuperated and administered by workers’ cooperatives, mostly in the interior of the country. Among them are Comercio y Justicia of Córdoba and El Diario de la Región in the Argentine Chaco, both refounded in 2002, the peak of the phenomenon of recuperated companies, and Revista Cítrica, which emerged after the end of the newspaper Crítica, in 2010. In December of 2015, the country’s media panorama changed along with the political rupture with the election and inauguration of Mauricio Macri as president after 12 years of Kirchners in office, with Néstor (2003-2007) and Cristina Fernández (2008-2015). 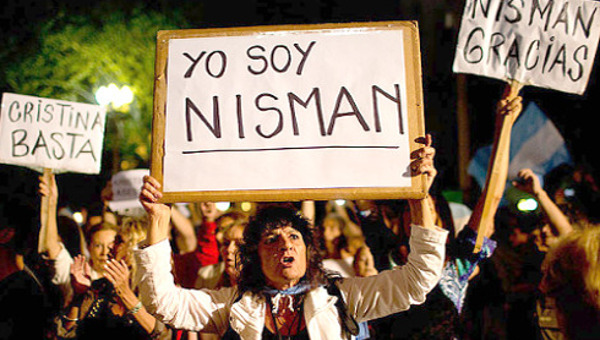 In May 2016, representatives of the Argentine Federation of Press Workers (FATPREN, for its acronym in Spanish) attended a meeting of the Committee on Freedom of Expression of the Chamber of Deputies and stated that, so far, the entity had registered about 2,500 layoffs in the sector. In November last year, there was a new meeting between deputies and representatives of communication workers in which the latter asked for a “labour emergency” to be declared in the sector for layoffs and media closures. “It was in this panorama that the first company recuperated during the period of Macri appeared, precisely, a media outlet, the newspaper Tiempo Argentino ,” Ruggeri said. The case of Tiempo is emblematic of this recent phenomenon in the country. The newspaper was founded in 2010 by businessman Sergio Szpolski and was part of Grupo 23, owned by Szpolski and Matias Garfunkel. Composed of nine media outlets, including newspapers, radio stations, news sites and a TV channel, the group received the highest amount of official government advertising between July 2009 and July 2015 during the Fernández de Kirchner government, according to magazine Perfil . In February 2016 the newspaper was no longer printed. 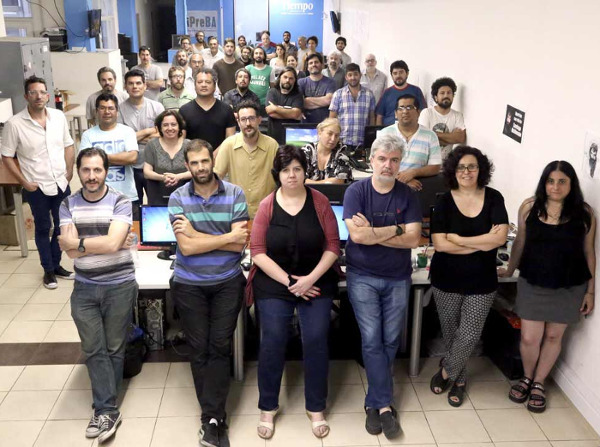 After three months of unpaid work and attempts to contact the owner of the newspaper and understand the future of Tiempo Argentino , about 100 journalists decided to organize and occupy the newsroom “while we saw which way to get ahead,” he said. One decision was to produce a special print edition to be sold at the demonstration in Buenos Aires on March 24, the annual date in which Argentina recalls the 30,000 dead and disappeared by the military dictatorship between 1976 and 1983. The journalists themselves went to the streets of the Argentine capital to sell the special copies and ask the public if there was interest in continuing to support Tiempo if the newspaper were recuperated by its workers. The 30,000 printed copies were sold and the public response was positive. “We decided then to take the money collected and share it among those who had not been paid in three months, and the rest was saved to make the first two editions of a cooperative newspaper,” Borelli said. The first edition of Tiempo Argentino as a cooperative owned newspaper was launched one month later in April 2016. Three months later, with the newsroom still occupied by three journalists of the cooperative who guarded the place, a group of about 20 men invaded the building, which also housed Radio América, also part of Grupo 23. At night, they expelled the people they found there and destroyed work equipment from Tiempo ‘s newsroom, La Nación reported. Businessman Mariano Martínez Rojas was accused of usurpation and damages for destruction at the building, La Nación reported. According to reports at the time, Martínez Rojas said he had purchased Tiempo Argentino and Radio América. However Tiempo Argentino reported in September the businessman was never “able to prove ownership of the media in the courts.” Still, other reports referred to him as the owner. The incident was condemned by several Argentine and international organizations, including the Special Rapporteur for Freedom of Expression of the Inter-American Commission on Human Rights, which asked the Argentine State to investigate the case. However, investigations have not progressed and the judicial case regarding the attack to date has not been tried, Borelli said. Martínez Rojas was detained by U.S. authorities in January 2018 in Miami, where he was a fugitive from allegations by the Argentine courts of extortion, threats and money laundering. Tiempo ‘s editorial staff then moved to another building and today there are 100 people, including journalists, designers, photographers and newspaper management staff. “In some cases, they only dedicate themselves to functions that have nothing to do with journalism, and in some cases they have a double function. They continue writing for the newspaper, and at the same time they do the commercial relations, organize the work, different administrative tasks,” Borelli said. The newspaper also stopped being printed every day and today it is published in print only on Sundays, when it has a circulation of 30 thousand copies. “We consider that we have a digital newspaper from Monday to Saturday and a print edition on Sundays,” the journalist explained. Since its establishment as a cooperative, Tiempo Argentino has sought to strengthen its relationship with readers by inviting them to help support the newspaper. According to Borelli, 70 per cent of Tiempo ‘s income comes from contributions from readers, both those who buy or subscribe to the print newspaper on Sundays and those who have joined the newspaper and pay about 120 pesos a month (about $6 (US)). Another 20 per cent is accounted for by advertising sales and 10 per cent by activities carried out by the cooperative, such as journalism workshops and cultural events. Another Argentine media outlet recuperated by its workers as a cooperative in 2016 was Infonews, which became the first online news site recuperated in the country. Founded in 2008 as the news site of Grupo 23, Infonews gathered the material published in the group’s other media outlets – Tiempo Argentino among them – and also produced its own content with approximately 50 journalists and staff in the newsroom. This was until February 2016, when workers stopped receiving their salaries, Daniel Jatimliansky, secretary of the Infonews workers’ cooperative, told the Knight Center . Unlike what happened with the group’s other media, in which there was no official closure by the owners, the company even announced the closure of the site in May 2016. This is when workers started talking about forming a cooperative to recuperate the site, Jatimliansky said. “The emptying of Grupo 23 affected 800 colleagues. The dilemma was to go looking for work in a labour market with a lot of demand, little supply, that was increasingly precarious, or to try to sustain our labour sources,” the journalist said. After talks with the company failed on the compensations due, the workers continued with the formation of the cooperative and put the site on air again in August 2016, now with approximately 20 professionals on the team. Like Tiempo , Infonews also has a membership program, whose contributions are the cooperative’s main source of income, coupled with the sale of advertising and editorial services. Social scientist Natalia Bauni assesses that the recent phenomenon of recuperated media in Argentina is linked to a debate that was ignited during the previous government about a supposed deepening of the division between the governing sectors and the antikirchneristas, which became known as “la grieta” (the crack). 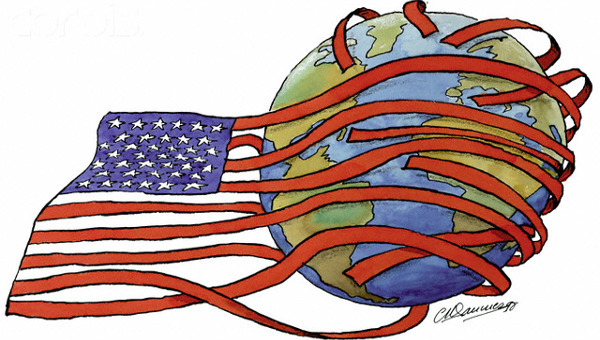 This division would also have been reflected in the media, with some considered to be pro-government – and which were also recipients of large amounts of official publicity, such as Grupo 23 – and others to be oppositionists, as reported by El País. With the rise of Mauricio Macri, the cut in the amount of state publicity seals the collapse or weakening of media considered kirchneristas. This amount is then directed toward media supposedly more aligned with Macri. According to analysis from Chequeado, in 2015, the last year of the Fernández de Kirchner government, the five groups that most benefited by state advertising were 23, América, Indalo, Albavisíon and Clarín, which together received 33 per cent of the total amount distributed by the government. In 2016, the first year of the Macri administration, Grupo Clarín alone received 21 per cent of the total for that year, almost the sum directed to the following four groups: Telefónica, Indalo, América and La Nación . “Public money cannot be used to build official journalism,” critiqued Fernando Ruiz, professor of journalism and democracy at Universidade Austral, in Buenos Aires, in conversation with the Knight Center . He argued, however, that the State should invest in the construction of quality journalism and that it encourage the self-sufficiency of media. “This is not just another industry. It is a democratic institution. Therefore public money that has always flowed to the media in a perverse way, now it has to be made to flow in a democratic and transparent way,” he said. 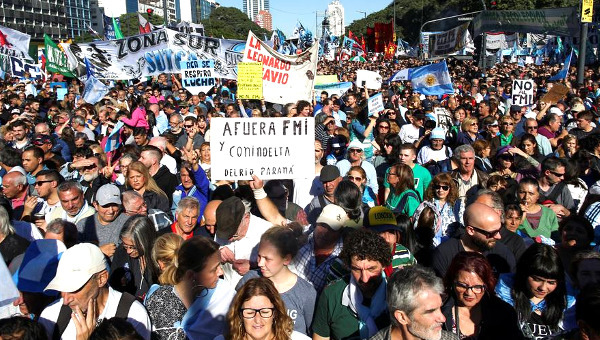 Jatimliansky, from Infonews, believes that the so-called “crack” in Argentine media actually indicates the plurality of voices and media that have been established in recent years. “There are visible editorial differences. When there was no talk of the “crack,” in reality there was an absence of diverse and divergent voices, at least in a massive way,” the journalist said. Although they emerged from dramatic situations, the cooperatives of journalists dedicated to recuperating media open new paths for professionals and journalism, Borelli believes. According to him, the experience of Tiempo Argentino has been very interesting and innovative, both for journalists and for the media landscape in Argentina. “Somehow, Tiempo managed to prove that it was possible to make a media cooperative sustained by readers,” he said. In this sense, the objective of the workers of Tiempo Argentino for the next years is “to build a communications space in Latin America that privileges journalism and journalistic values over the business,” Borelli said. The idea is to promote a congress in 2018 in Buenos Aires of self-managed journalism, gathering experiences from all over the region of media managed by journalists. This article first published on the knightcenter.utexas.edu website. Carolina de Assis is a Brazilian journalist who lives in São Paulo. She holds a master's degree in Women’s and Gender Studies from the GEMMA Programme – Università di Bologna (Italy) / Universiteit Utrecht (The Netherlands) and has worked as a news editor at Opera Mundi, a Brazilian international news website. Follow her on Twitter: @caroldeassis.